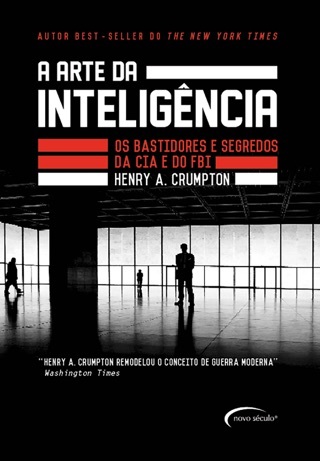 Revelatory and groundbreaking, The Art of Intelligence will change the way people view the CIA, domestic and foreign intelligence, and international terrorism. Henry A. 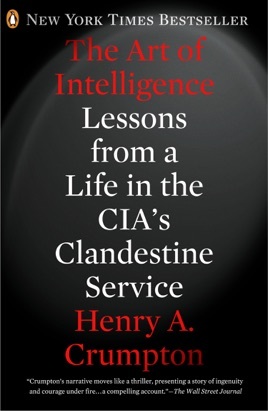 “Hank” Crumpton, a twenty-four-year veteran of the CIA’s Clandestine Service, offers a thrilling account that delivers profound lessons about what it means to serve as an honorable spy. From CIA recruiting missions in Africa to pioneering new programs like the UAV Predator, from running post–9/11 missions in Afghanistan to heading up all clandestine CIA operations in the United States, Crumpton chronicles his role—in the battlefield and in the Oval Office—in transforming the way America wages war and sheds light on issues of domestic espionage. This book gives a bird's eye view of the remarkable US destruction of Al Quaida in Afghanistan shortly after 9/11. The enduring lesson is the importance and astonishing range of skilled individuals mustered up for the mission. On the theoretical side, the book illustrates best practices for synthesis of intelligence and covert military action. In general, one comes away with the impression that the CIA works much better than one would expect from the generally shoddy press coverage it receives. Let me first began by saying I respect all they do at the cia. I wish I could be a cia agent. I know do to the sensitive work they they do they can't say much and that why I find this book boring.